Campaign Monitor for Salesforce is an integration built by Beaufort 12. Our application allows you to personalise emails and report on customer behaviour by seamlessly syncing data between Campaign Monitor and your Salesforce Org. 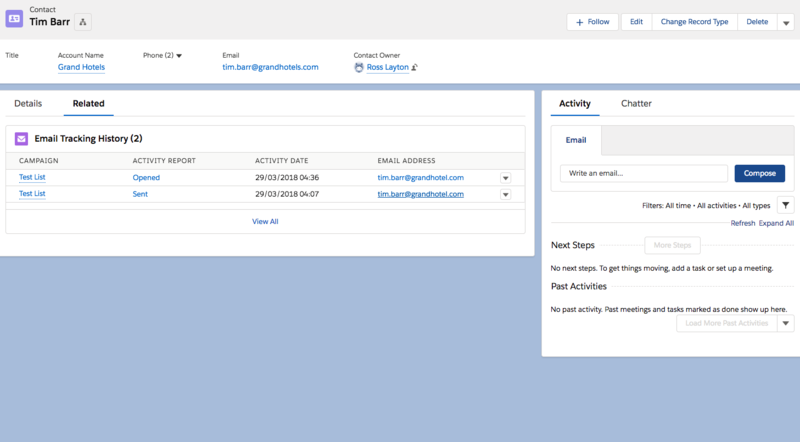 Campaign Monitor allows you to design and send your email campaigns. Once a campaign has been sent, view the results directly in Salesforce. Should a person unsubscribe from an email both systems will be updated. The video below is a full overview of Campaign Monitor for Salesforce. If you are keen to get going and have installed Campaign Monitor for Salesforce skip to the steps below. If you are new to Campaign Monitor please ensure you are set up - this includes verifying your account and optionally setting up your email domain. If you have questions about Campaign Monitor, please reach out to them directly (support site). If you already have a Subscriber List in Campaign Monitor you can skip to step 2. 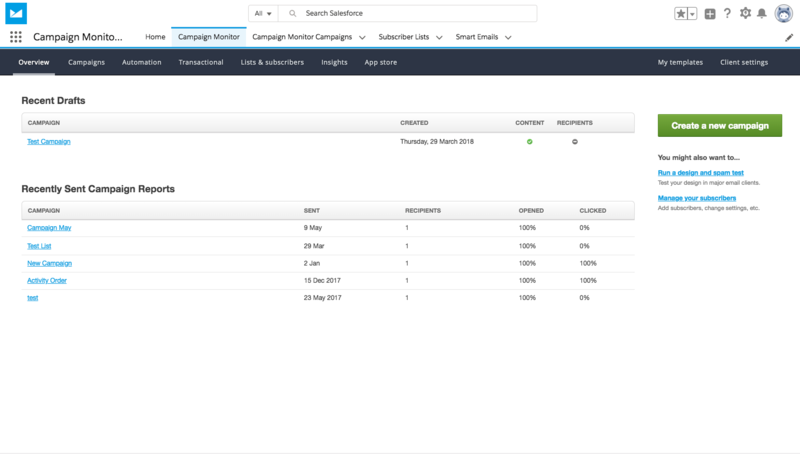 In Salesforce, click the app menu at the top right, then select Campaign Monitor. Click the Subscriber Lists tab (this is the Salesforce tab, not the Campaign Monitor screen). Once you have clicked the Create List the subscriber list will be instantly created in both Salesforce and Campaign Monitor. The best way to import your Salesforce records into Campaign Monitor is via our Import Wizard. 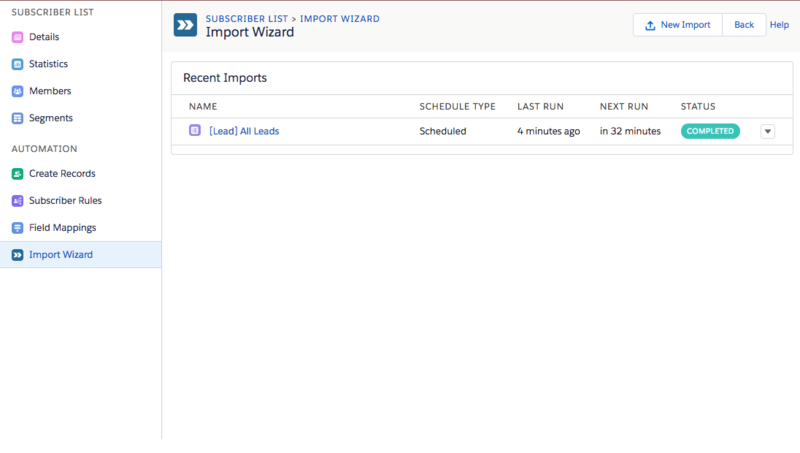 The wizard allows you to immediately start the import, set up a schedule for future runs or both. Once started you can view it’s progress on the Import Wizard screen. When the import is completed the subscribers will be in your subscriber list and ready to use in your mass email/campaign. 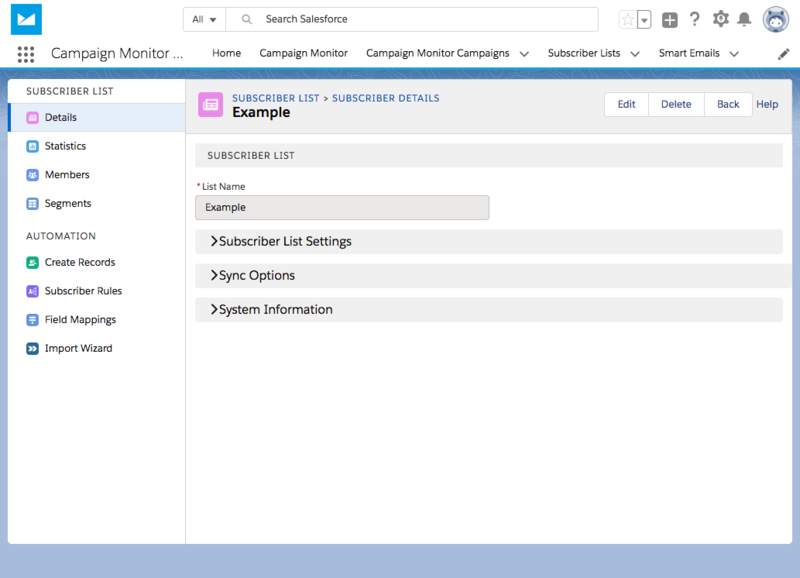 There are several ways to add Salesforce records to Campaign Monitor. These include using subscriber rules and buttons listed on the primary Contact and Lead object. 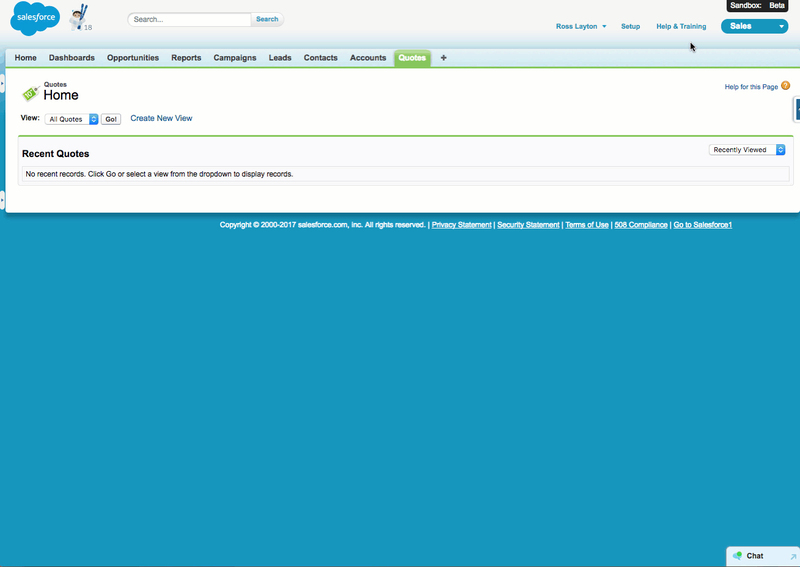 You can access Campaign Monitor directly in Salesforce via the Campaign Monitor tab. To create and send an email Campaign refer to this support article. Once you have sent your email campaign tracking data will flow back into Salesforce. Navigate to a Salesforce Contact or Lead to see email tracking stats (opens, clicks etc). You can also run Salesforce reports and dashboards on the email tracking records.